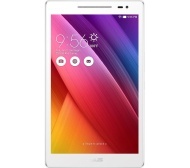 alaTest has collected and analyzed 61 reviews of Asus ZenPad 8 (Z380KNL). The average rating for this product is 4.2/5, compared to an average rating of 4.3/5 for other products in the same category for all reviews. Reviewers are impressed by the size and performance. The price and screen also get good feedback. Opinions are divided on the camera, while there are some negative opinions about the durability and storage. We analyzed user and expert ratings, product age and more factors. Compared to other products in the same category the Asus ZenPad 8 (Z380KNL) is awarded an overall alaScore™ of 88/100 = Very good quality. Good value. Doesn't crash like my old iPad. Easy to use and links with android phone. Good quality screen and soun d for watching catch up tv. Light enough for carrying around and reading books. Takes ages to charge and battery life not great when in use watching films or playing games(5 hrs). Some android versions of apps don't work as well as apple versions. Good battery life, light and easy to hold. Controls easy to use. Good value for money, surprisingly good screen, handy design. Decent tablet for the price, I bought the white/ gold colour and it looks good. Good screen resolution. Pleased with my purchase. Bought as a replacement for an IPad mini as I wanted something small enough to carry around. Very easy to set up and use and great value when bought at special offer price.